Mitigating The Risk Of Barn Fires | Chatham-Kent Agriculture Development | We Grow For the World! 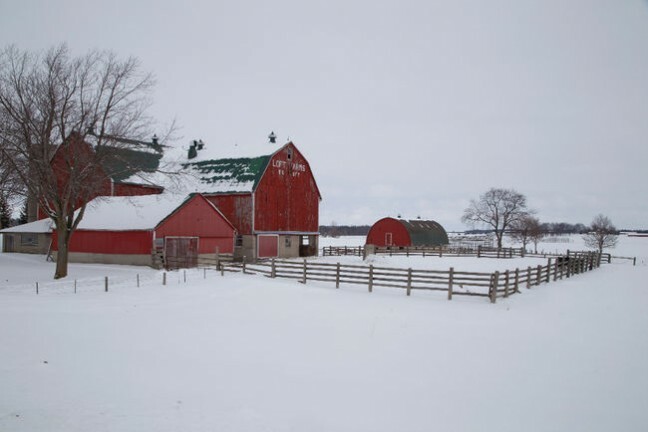 Southern Ontario has suffered a heartbreaking series of barn fires this winter. These devastating losses have brought barn fire safety issues to the fore. It is unfortunate that it often takes tragedies like these to spur greater action on an issue. Hopefully many more possible fires will now be prevented, along with the accompanying devastating losses, because of increased awareness of the causes, and increased efforts to address them in Ontario barns. According to OMAFRA’s website, the cause of over 40% of barn fires remains undetermined because of the extent of the damage from the fires. However, electrical or mechanical failure is the leading known cause of barn fires. Electrical issues are likely also the origin of many fires whose official cause remained undetermined. At our recent Niagara District meeting, Steve DeHaan, a farmer who also works for Meester Insurance, spoke about ways to mitigate the risk of barn fires. Because of the humid conditions in barns with contained livestock, electrical connections that are not sealed are at greater risk of corrosion. Corrosion causes extra resistance when electricity passes through, significantly increasing the heat generated. This can then ignite flammable materials in the vicinity. DeHaan used some photo illustrations from his own barn to show how corrosion of connections may be hidden under plastic covers that conceal the extent of damage beneath. Thermographic imaging of electrical connections is one way to easily assess problem areas. OMAFRA’s website also has some suggestions on preventative measures against barn fires, and on structures that should be in place to help contain fires should one start. Although newer barns are built to standards that better address these issues, older barns, built to older code standards, may be at higher risk. This is particularly true for electrical connections. Although there is a cost to replacing or updating electrical equipment, these updates act as a further insurance against the risk of losing a barn and its contents, which would be a far greater cost. There has been a lot of attention paid to the loss of livestock in barn fires in the media. Farmers who care for livestock day in and day out have more than just money invested in the animals in their barns. Not only do farmers suffer huge financial losses when livestock are lost in fires, they also suffer emotional losses as well. These incidents are a reminder that fire safety and prevention in barns is an important part of animal welfare and good care for animals as well as looking after human safety.